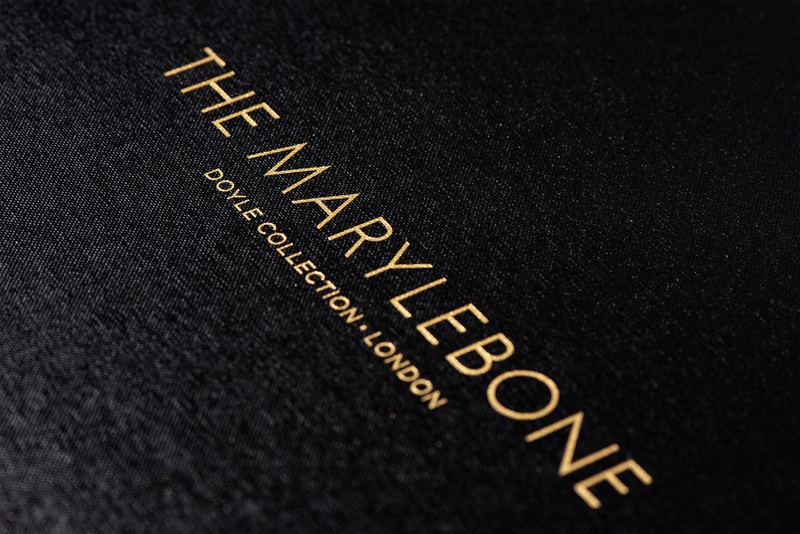 The Doyle Collection is a worldwide chain of eight family-owned luxury hotels in locations that include London, Ireland and Washington DC. With a focus on comfort and detail, Doyle provide little added extras to thier rooms to ensure every guest experience is of the highest standard. These luxury hinged-lid magnetic boxes act as a presentation piece to hold all the key hotel information in guest rooms. 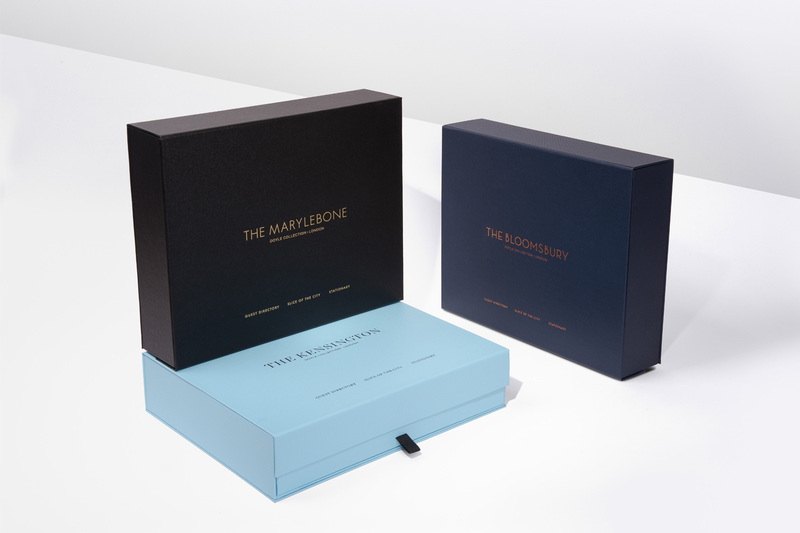 They were manufactured in four colour variants, one for each site, with each box wrapped in a corresponding embossed coloured cover paper. 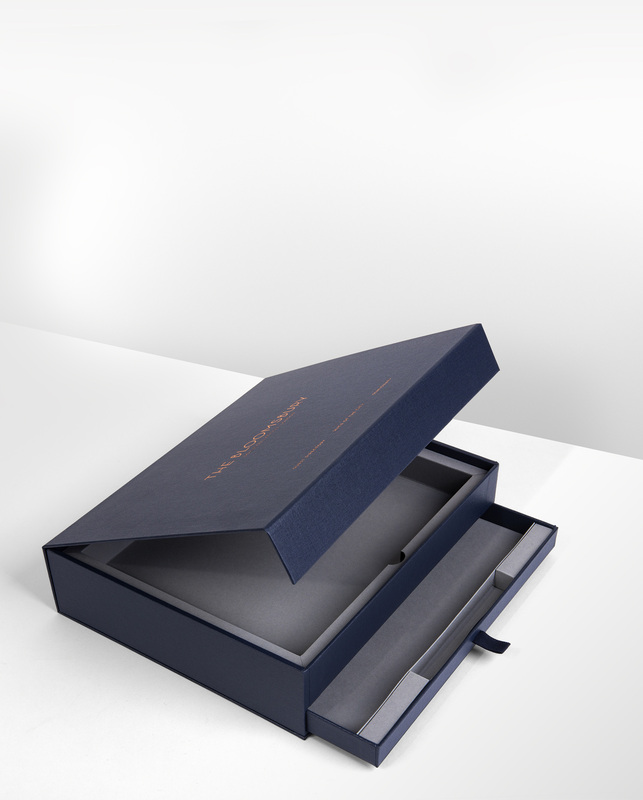 The identity of each hotel was foil blocked on the face of the lid and a pull-out drawer on the front of each was fitted with a satin ribbon to allow easy access to the information within.